From Kendra Scott, the Sophia earrings are a smaller version of the best-selling Sophee drop earring style. These Sophia earrings feature the iconic Moroccan silhouette that Kendra Scott fans have come to love, in a gold-plated metal. 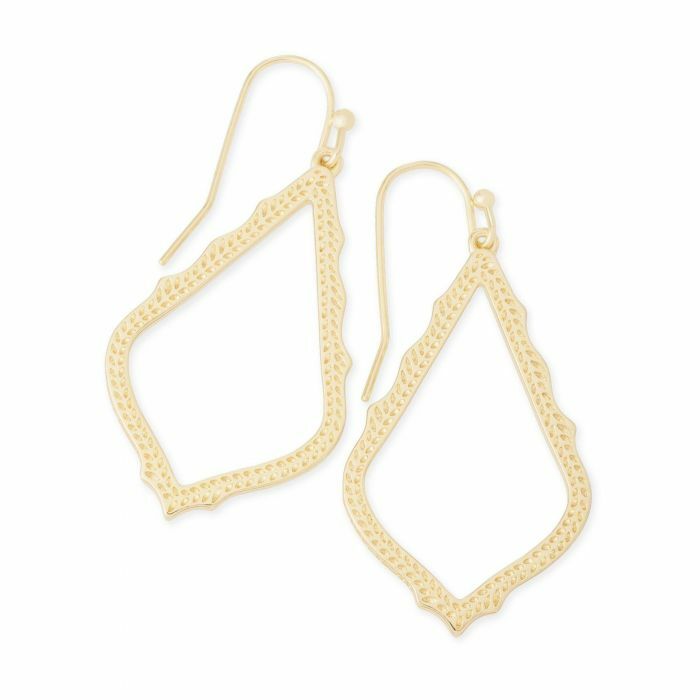 Perfect for everyday wear, these Sophia earrings measure 1.875" in length and 1" in width.